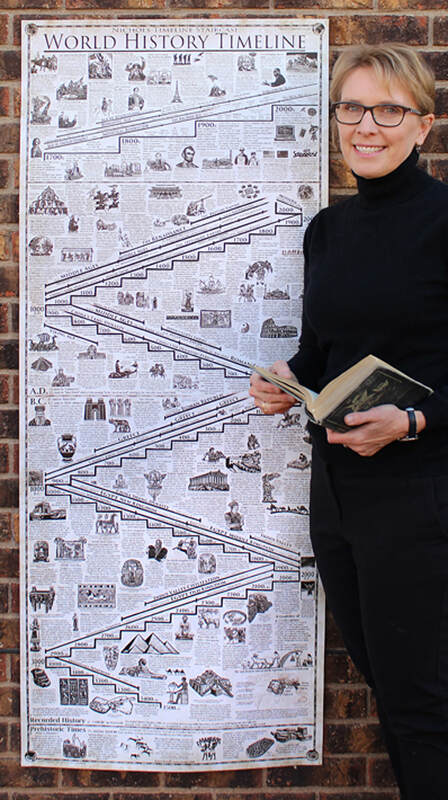 I'm excited to introduce my WORLD HISTORY TIMELINE Poster after three years of research and illustrating these 5,000 years of major world civilizations and events. 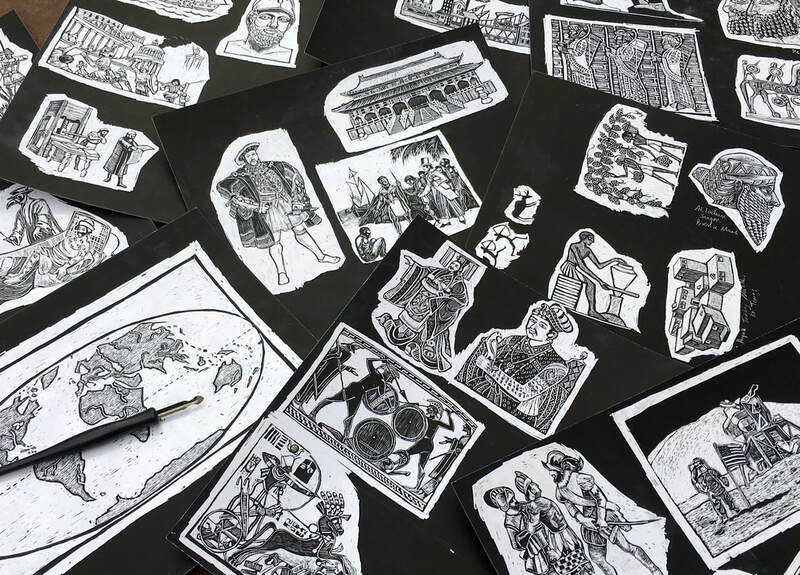 These are some of the scratch board drawings I made for The new WORLD HISTORY TIMELINE Poster. I made many more drawings than I ended up using on the poster. Not so poor King Henry VIII didn't even make the final cut. 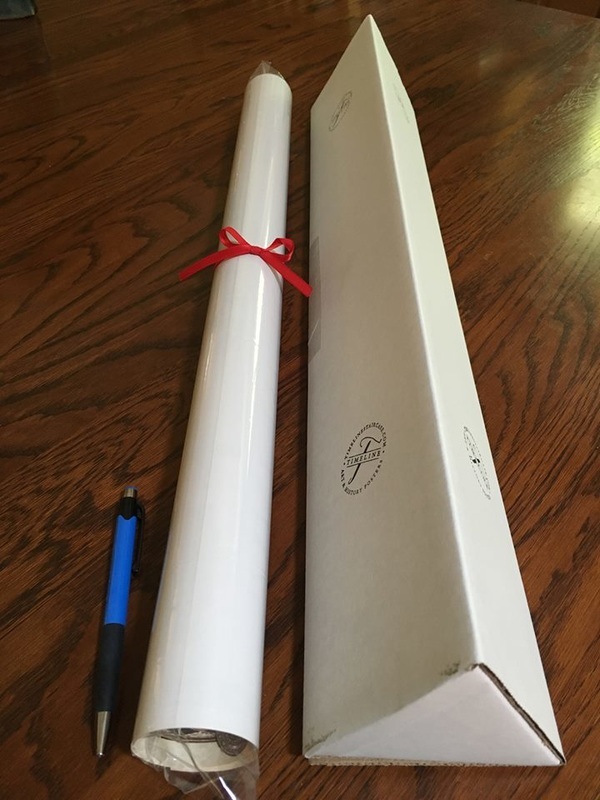 * 2 ft x 5 ft tall posters are printed on 100 lb poster paper with a light grayish brown parchment tone. 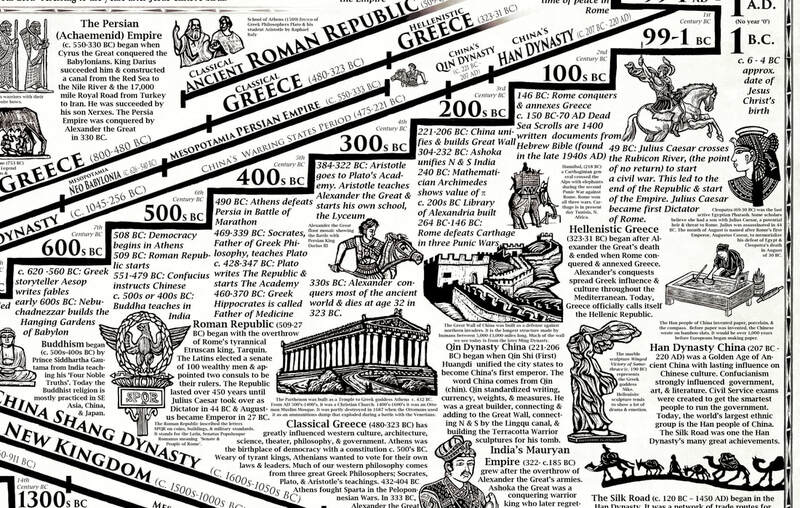 ​* The WORLD HISTORY TIMELINE highlights what most scholars agree are many of the MAJOR CIVILIZATIONS, ERAS, and EVENTS from Prehistoric times (3500 BC) to the Present. 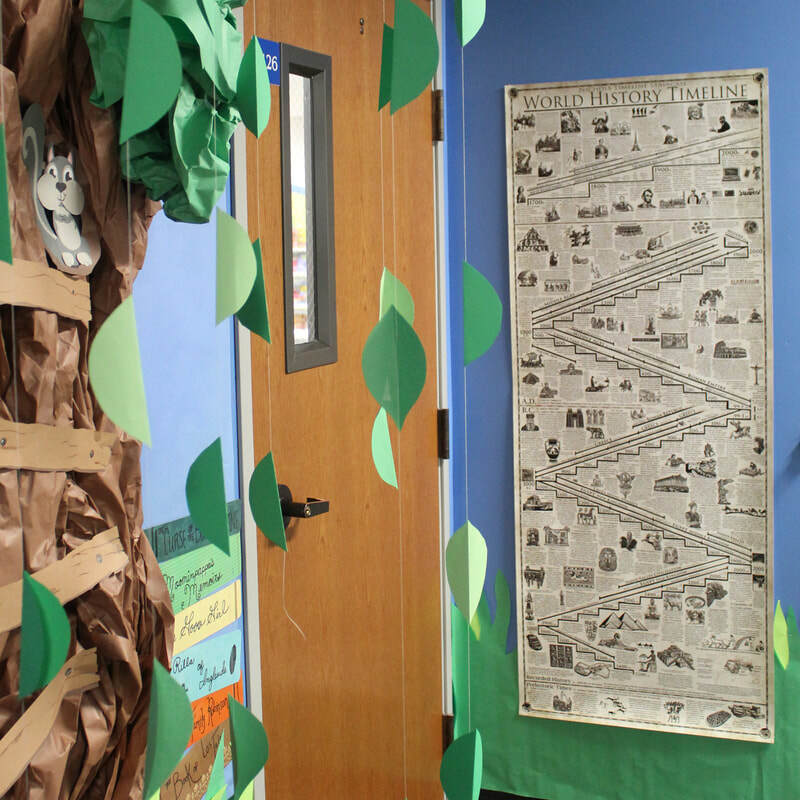 * WORLD HISTORY TIMELINE complements any World History curriculum. My ART HISTORY TIMELINE poster is going to have a companion! 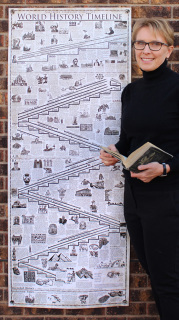 After three years of researching, writing, and illustrating, my WORLD HISTORY TIMELINE poster has just been published. It will be available on this site, Amazon, and Etsy at the end of March 2018! 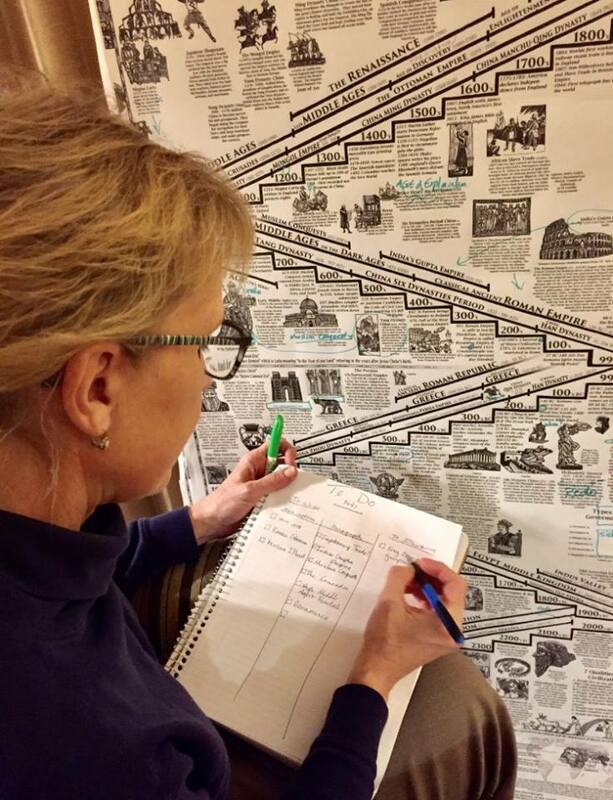 ​Checking out the WORLD HISTORY TIMELINE proof before publication. 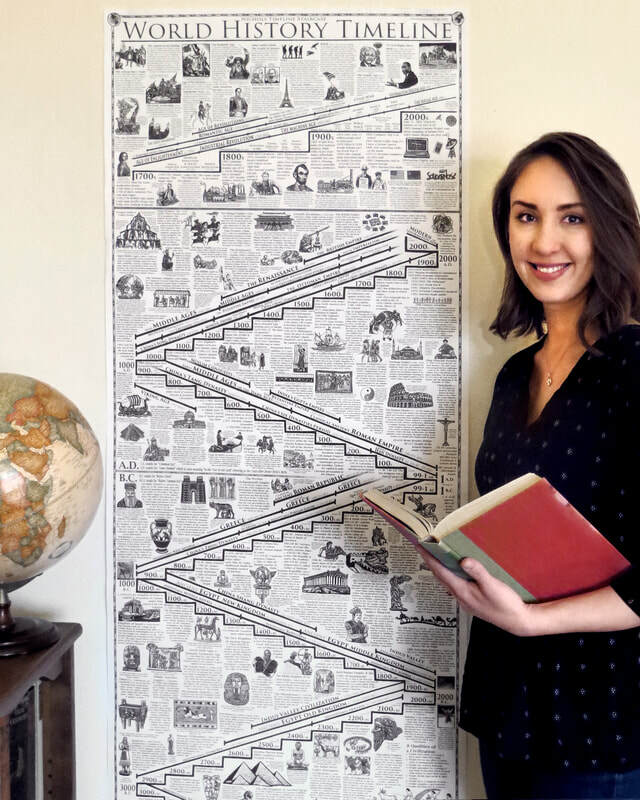 To make this poster, I've hand drawn all of the WORLD HISTORY TIMELINE illustrations on scratch board, just like the ART HISTORY TIMELINE illustrations. 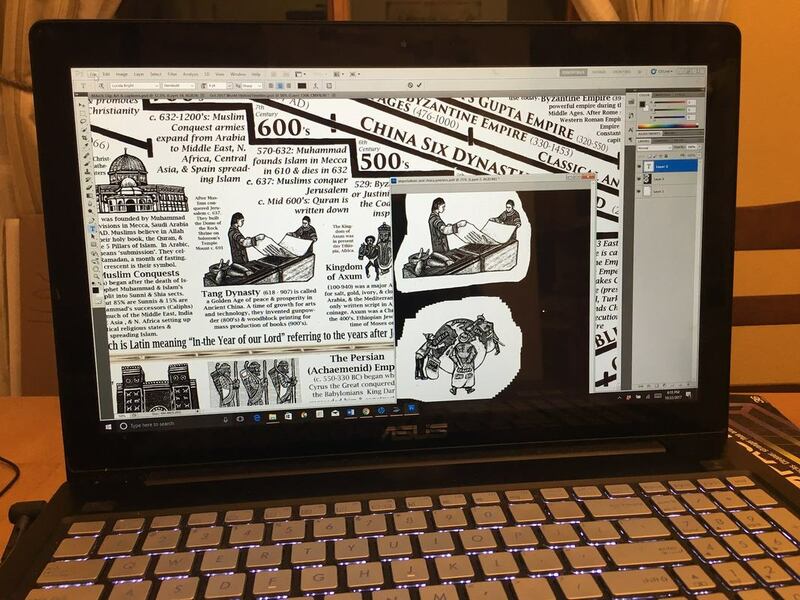 Then, I scanned each illustration into my computer and used Photoshop to design the timeline posters. Scratch board is a heavy white paper with a layer of chalk and then black ink is sprayed over the top. I scrape and 'scratch' away the black ink to expose the white lines and shapes that make the image. 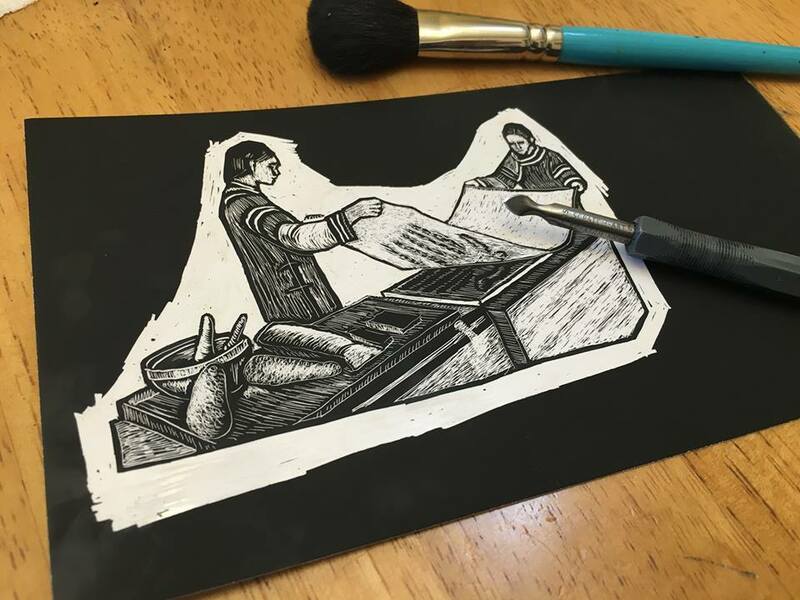 I like how these images look like woodcut prints. 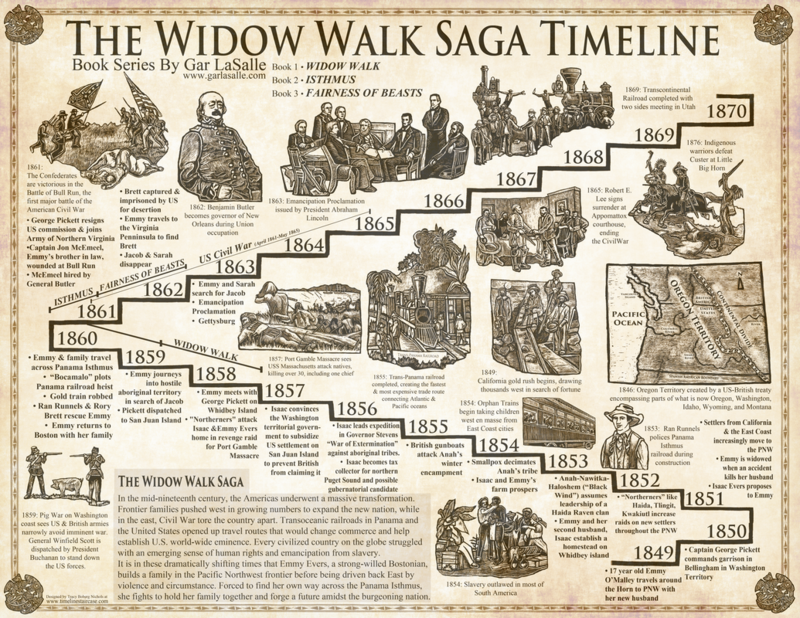 Last Spring I was contacted by an author's agent about designing and illustrating a timeline for an Historical Fiction Book Series called Widow Walk by author Gar LaSalle. 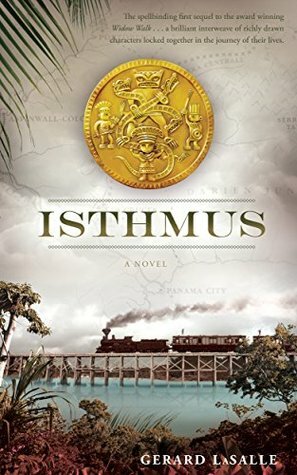 The book begins in the Pacific Northwest during the mid 1800's where the American settlers are vying for territory along with the indigenous peoples and the British, then follows a strong young woman caught up in the conflicts of the times. It was a privilege to have have met (through conference calls) Dr. LaSalle and his agent Scott James. They were awesome to work with! The Elements of Art are a lot like baking ingredients. When you bake, you use flour, eggs, salt, oil, and sugar. When you mix them up in different ways and proportions you can make bread, cake, pancakes, muffins, and doughnuts, The point is, you use the same ingredients and make different things. The 7 Principles of Design are a lot like different ways to mix up the ingredients but I'll talk about that another time. Today I'm sharing a fun and easy art project with the focus on the Element of Art: Shape. I introduce two main types of shape; Geometric and Organic. Geometric shapes are shapes also learned in math class, circles, squares, triangles, rectangles, ovals, octagons, etc. Read the book When a Line Bends...A Shape Begins. It has beautiful illustrations and clever rhymes about shapes. 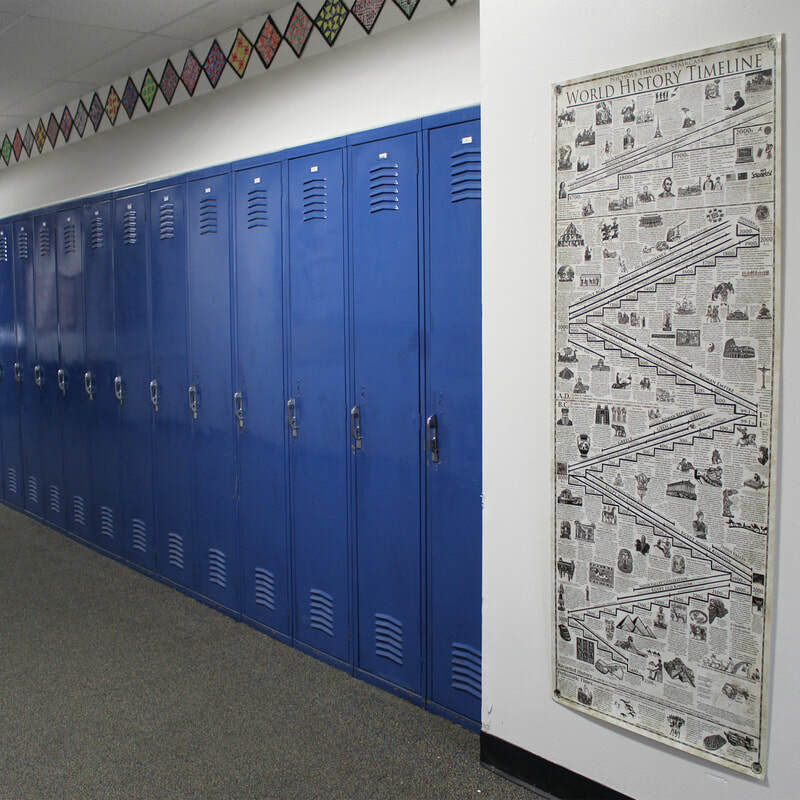 Draw geometric shapes and print them off on colored paper for the students to cut out. Or give the students stencils and rulers to draw out their own geometric shapes. List the Geometric shapes they must use at least one; circles, squares, triangles, rectangles, ovals, octagons. They can use more of any one they like. Read the book Henri's Scissors. It's a good introduction to Henri Matisse. 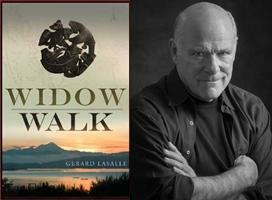 In the book he cuts out shapes from nature like leaves, fruit and birds. Give the students colored paper to cut out their own shapes from nature and then arrange and glue the shapes on their black paper. A historical connection to Matisse is made on the Art History Timeline Staircase to Matisse's 8 1/2 foot tall The Dance. 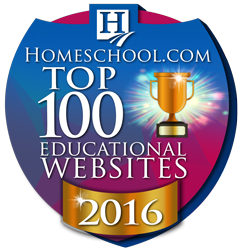 www.timelinestaircase.com has been named in Homeschool.com as one of the Top 100 Educational Websites this year! 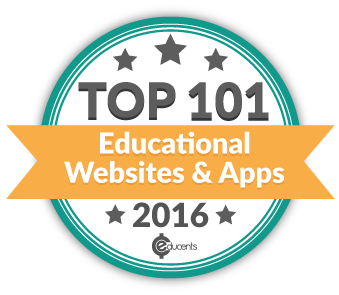 We are in the HISTORY, ART, and MUSIC category. 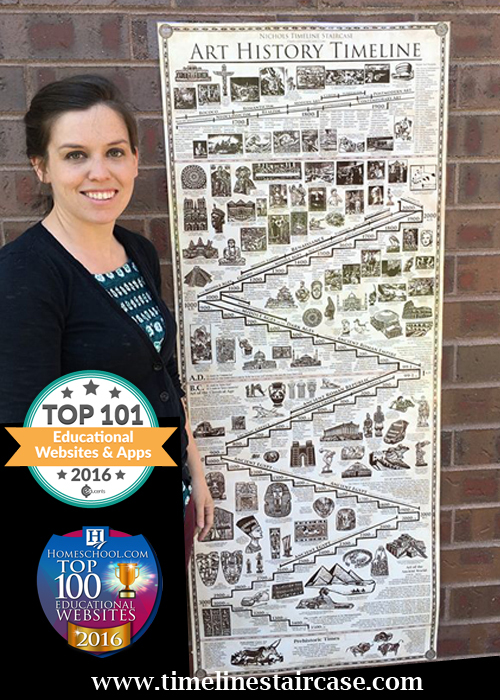 Happy that folks are finding the Timelines useful! 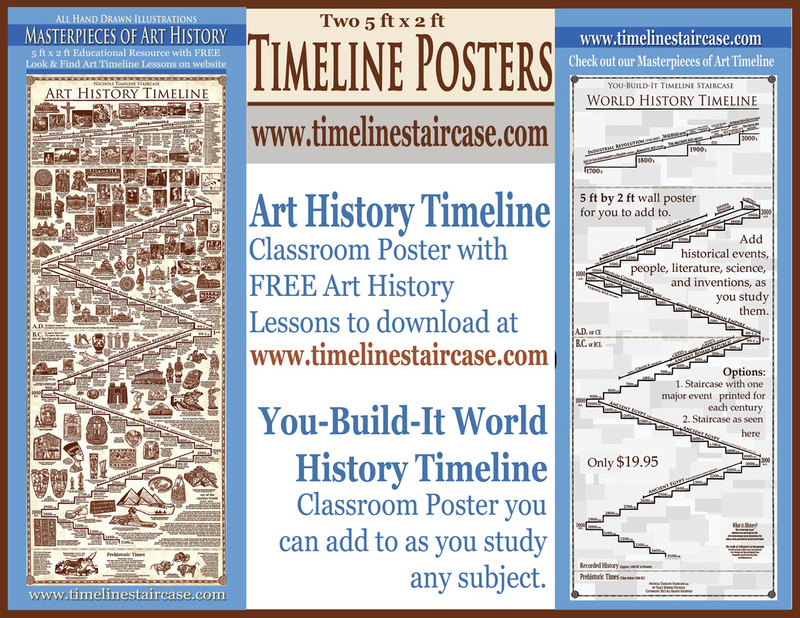 Along with the Free Look and Find Activity downloads on this website, I'll be posting soon about the Art History Activity Book and Coloring Book that will go along with the Art History Timeline. "Whistler, and his painting Whistler's Mother, had a profound effect on Claude Debussy, a contemporary French composer. In 1894, Debussy wrote to violinist Eugène Ysaÿe describing his Nocturnes as "an experiment in the different combinations that can be obtained from one color – what a study in grey would be in painting." Whether Debussy was using the term color to refer to orchestration or harmony, critics have observed "shades" of a particular sound quality in his music." Weintraub, Stanley. 2001. Whistler: A Biography (New York: Da Capo Press). Here are Debussy's Nocturnes in a cool (excuse the pun) color coded analyses. I prefer his Clair de Lune, but I like the art and music connection here!